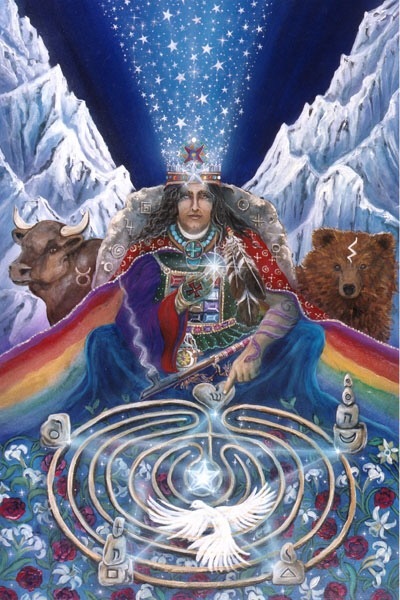 The Hierophant is the wise sage and teacher of the Tarot, representing the structures in society which form the rules and guidelines by which we all strive to live. The cards never cease to amaze me, for today, and for most, it will be tomorrow, Saturn will be moving into its home sign of Capricorn through March 23, 2020. There is no greater teacher than Saturn, and this card suits him well. As we wind up this last degree of Saturn in Sagittarius, where he will still be for most of the day, you may wish to look over the lessons which you have been taught, before proceeding. Remember, Saturn does reward those who have completed their tasks and learned their lessons in life, just like the teacher rewards the student. If the structures of your life have not been, or are not, in line with your life purpose, Saturn will work to tear them down, showing you where there is room for improvement. Heed the lessons; reap the rewards. This entry was posted in Card of the Day, General Tarot, Love and Finance, Patreon, Readings, YouTube Videos and tagged Card of the Day, Guidance, Hierophant, Path, Reading, Tarot.